Unique in style, yet influence by the work s of Turner, Constable, Streeton and inspired by writers such as , Basho and Muir, my aim is not just to show a ‘pretty picture’, but to create a specific experience in the viewer. 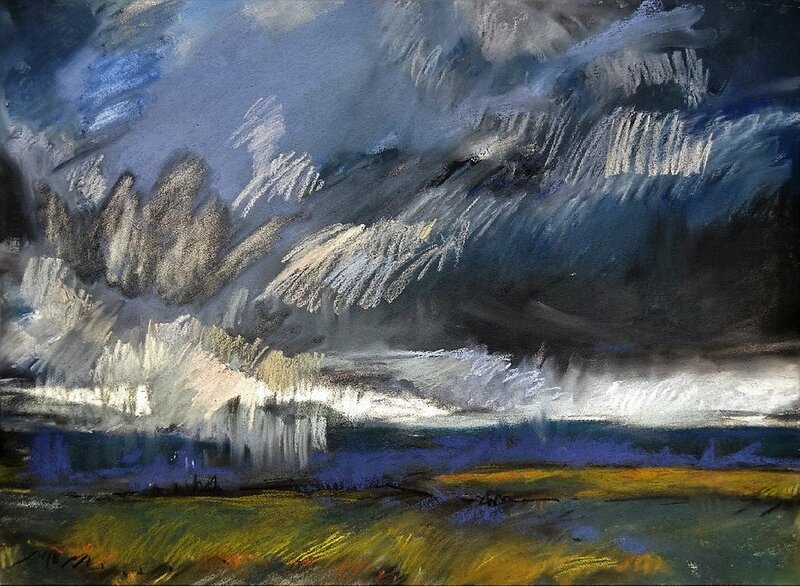 If my paintings are often dramatic or foreboding, just the way the sky looks before or during a storm, it’s because I wish for the viewer to experience that same intensity I see. I want the viewer to take a moment and reflect on our place within Nature. That we are all connected in an energetic, divine web. 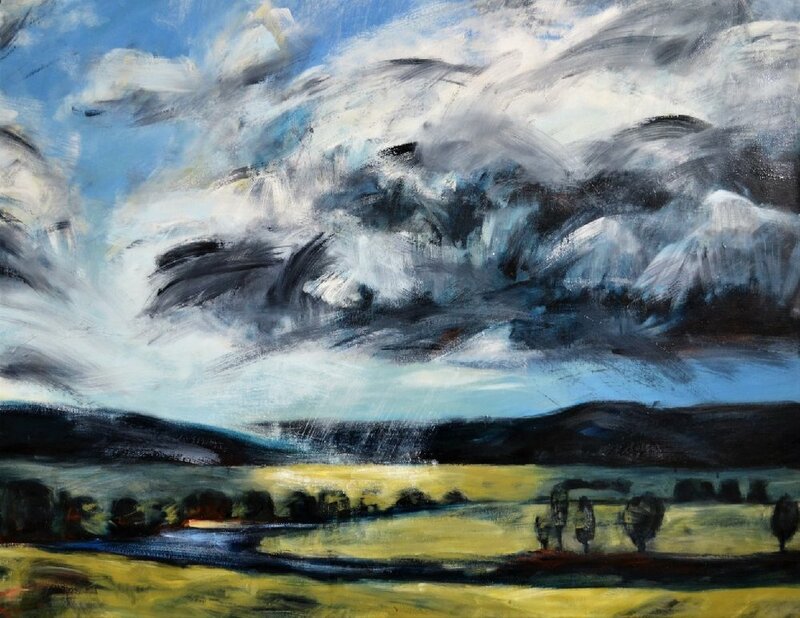 Shortly after a second artist-in-residence at the acclaimed La Macina di San Cresci, Tuscany, Italy, I exhibited my work Various Storms and Saints, at Gallery Belimage in Valangin, Switzerland. The subsequent suite of work was created following this 2016 exhibition. The beautiful and sometimes ominiius , that is present in these paintings, directs the viewer to contemplate Nature Sublime in all its facets.